When visiting the Tuscany region, you have a lot of popular destinations to choose from. The area is home to Versilia, Pisa, Lucca and other cities, which are filled with significant locations of historical, cultural, and artistic importance. There is a wide variety of day tours that are perfect for adding to your driving tour vacation with destinations starting from Pisa and from Lucca. One of the most popular destinations in the area is the age-old city of San Gimignano and the nearby town of Volterra. San Gimignano is a small walled medieval hill town that is known for its preservation of a dozen tower houses as well as for being an overall excellent example of medieval architecture. The city has several churches with stunning frescos, while from the top of the walls encircling the city you can experience breathtaking views that are unlike any other in the region. While in the town, make sure that you try the golden ham, cured in the saffron that is produced nearby. The city is also known for its unique wine which is made from the Vernaccia grape, an ancient variety which has been grown for centuries on the hills atop which San Gimignano sits. The wine is coveted in particular vintages by connoisseurs all over the world due to its exquisite flavor and robust body. From Pisa or from Lucca, the trip to San Gimignano is a short drive, and one that is simply beautiful. The nearby town of Volterra is the companion to San Gimignano and, just like it, that is an ancient walled hilltop town dating back to the Middle Ages. In this case, the first organized settlement of what is now Volterra was established in the 7th century B.C. and that makes it rank among the top five oldest continuously occupied townships on the Italian peninsula. The town is known for its perfectly preserved examples of Roman, Etruscan, and medieval architecture, as well as many fine examples of simple Renaissance design. The town is also known for its Piazza dei Priori and its town hall, which is universally considered one of the most beautiful town halls in all of Italy, and both of which represent a superb example of medieval Tuscan town square design. It is also famous for its bronze statues and the intricate designs on the Etruscan city walls. The town has been the setting of many books, plays, operas, and has been the inspiration for quite a few works of art. 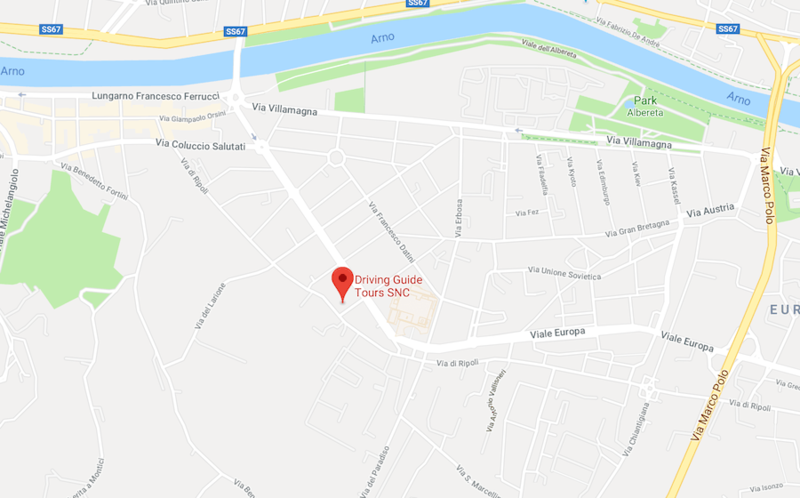 Again, this town is located very nearby, so a drive from Pisa or from Lucca is not only reasonable for day tours, but also takes advantage of the scenic beauty of the area, making for an enjoyable drive. Both of these towns provide you with an opportunity to experience a remarkable view of Italy from its ancient roots, and with the close proximity to the large modern towns of Pisa and Lucca, you can see the true dichotomy of this magical land that predates the time of Christ and is still relevant in the modern age. From Pisa and from Lucca you can also experience the resort town of Versilia, the villas and gardens around the Lucca province, and the nearby beach communities. Of course, this is not to mention the incredible attractions that Pisa itself offers. Taking a driving tour gives you the freedom to travel and explore on your own, and you can experience more of what makes the region and its people great. For the best San Gimignano and Volterra day tours from Lucca and Pisa choose DGT. Driving Guide Tours is your top choice provider of quality vehicles and exceptional tours throughout Italy, especially in the greater Tuscany region. We offer you a wide variety of quality luxury vehicles to choose from and provide you with the support and resources to ensure that you get the absolute best holiday experience while in Italy. We are happy to work with other Italy tour providers to incorporate a driving tour into your plans while visiting this remarkable country. We look forward to helping you plan your vacation in Italy, and make memories that will last a lifetime. You can contact us via our online chat (located in the bottom right corner of the screen), email, or via phone at +39 055-632930 (if you are calling from the USA or Canada please dial +1 866 746 4348). There really is no better way to explore all that is wonderful about Italy than to do it by luxury automobile. Feel free to explore more of our website in the meantime, and see for yourself why we are the number one provider of motorcar driving tours in Italy.